Dr. Ibrahim’s research interests are in the area of pharmacognosy with main focus of studying complex natural products chemistry of leads acting on anticancer, MRSA, HCV, malaria, and depression disorders. He has blended the chemistry and biology of numerous natural products to generate several milestones in the field of natural products including the importance of endangered plants in natural products drug discovery (PNAS 110, 16832-16837, featured article in “University of Washington’s Conservation Magazine” September 13, 2013, by Roberta Kwok; featured article recommended for teaching in “F1000Prime” October 11, 2013. by David Triggle), and the discovery and characterization of the plantanoside leads for the control of drug-resistant infectious diseases (patent US8633166B2). Singha S.K., Muhammad I., Ibrahim M.A., Wang M., Ashpole N.M., Shariat-Madar Z. 2019. 4-O-Methylhonokiol Influences Normal Cardiovascular Development in Medaka Embryo. Molecules 24(3), 475-496. Malak L.G., Ibrahim M.A., Moharram A.M., Pandey P., Tekwani B.L., Doerksen R.J., Ferreira D., Ross S.A. 2018. Antileishmanial Carbasugars from Geosmithia langdonii. Journal of Natural Products 81 (10), 2222-2227. Schrader K.K., Ibrahim M.A., Abd-Alla H.I., Cantrell C.L. Pasco D.S. 2018. Antibacterial Activities of Metabolites from Vitis rotundifolia (Muscadine) Roots against Fish Pathogenic Bacteria. Molecules 23, 2761-2768. Ibrahim M.A., El-Alfy A.T., Ezel , Radwan M.O, Shilabin A.G., Kochanowska-Karamyan A.J., Abd-Alla H.I., Otsuka M., Hamann M.T. 2017. Marine Inspired 2-(5-Halo-1H-indol-3-yl)-N,N-dimethylethanamines as Modulators of Serotonin Receptors: An Example Illustrating the Power of Bromine as Part of the Uniquely Marine Chemical Space. Marine Drugs 15, 248(1-14). Ibrahim M.A., Na M., Oh J., Schinazi R.f., McBrayer T.R., Whitaker T., Doerksen R.J., Newman D.J., Zachos L.G., Hamann M. T. 2013. Significance of endangered and threatened plant natural products in the control of human disease, Proceedings of the National Academy of Sciences 110, 16832-16837. Muhammad I., Ibrahim M.A., Khan S. I., Jacob M.R., Tekwani B.L., Walker L.A., Sameylenko V. 2012. Pentacyclic Ingamine Alkaloids, a New Antiplasmodial Pharmacophore from the Marine Sponge Petrosid Ng5 Sp5. Planta Medica 72 (15), 1690-1697. Ibrahim M.A., Mansoor, Arsala A., G., Amanda, Ashfag, M. Khalid, Jacob, M., Hamann, M.T. 2009. Methicillin-resistant Staphylococcus aureus (MRSA)-active metabolites from Platanus occidentalis (American sycamore). Journal of Natural Products 72 (12), 2141–2144. 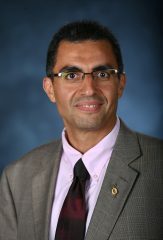 Ibrahim M.A. and Hamann, M.T. (Jan. 21, 2014). Methods of control Staph infection using glycosides from the American Sycamore. (Patent US 8,633,166 B2).